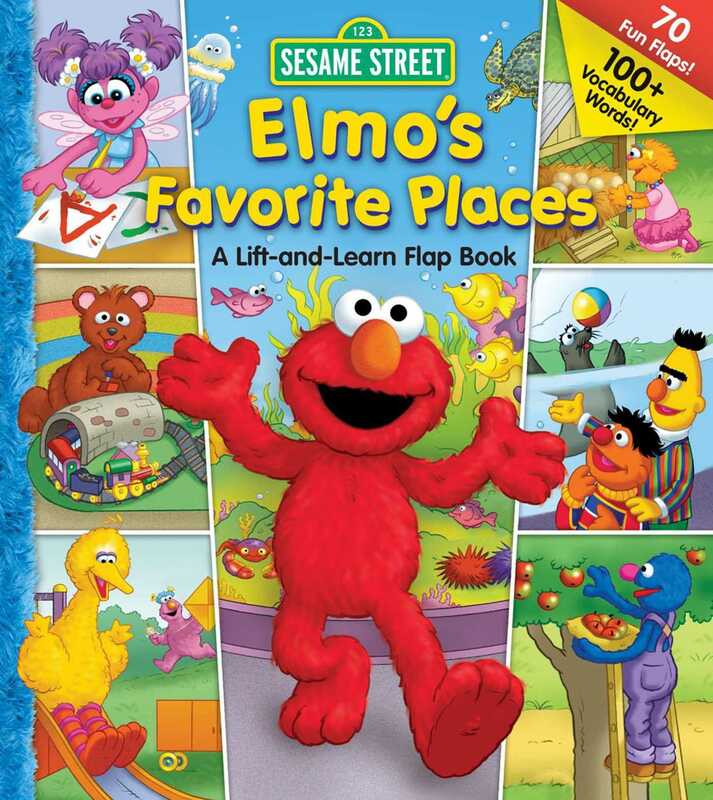 Packed with flaps from cover to cover, Elmo's Favorite Places is sure to become a treasured book for young Sesame Street fans. Preschoolers will love visiting all of Elmo's favorite places - the farm, aquarium, school, park, and home - while learning five different concepts (colors, shapes, counting, alphabet, and pairing objects that belong together) along the way. Bold object labels on every spread teach more than 100 vocabulary words, making this book a learning adventure.